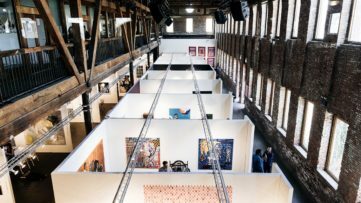 The Jonathan LeVine Gallery, situated in New York, will be presenting Primitivo, the debut solo exhibition at the gallery by Mexican artist Saner. 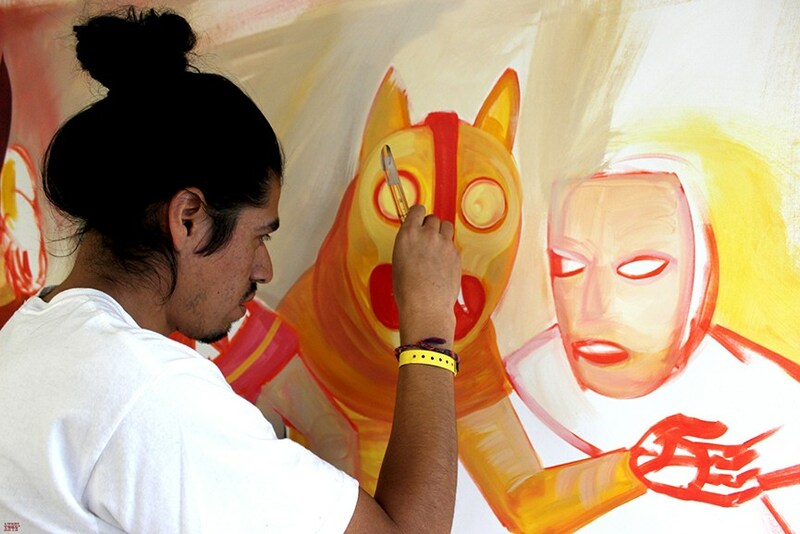 Primitivo will be comprised of a new series of works by Saner that further explore the artists interest in Mexican folklore and customs, incorporating symbolic and iconographic elements from the popular traditions of his country, a topic that you can see Saner discussing in this video about a street art residency workshop. 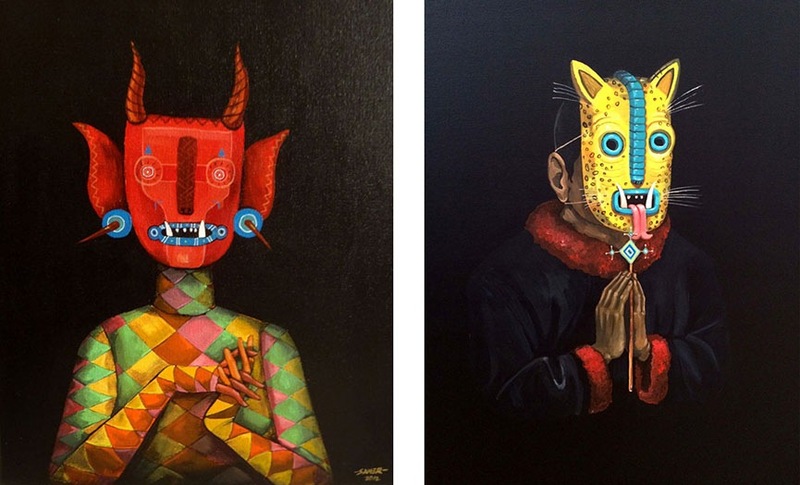 The debut solo show, Primitivo, by Saner at the Jonathan LeVine Gallery will feature a new set of portraits of characters wearing Nahuale masks, (Nahuales being a demon that animals made a pact with so they could look like normal people in the day and transform into animals at night to cause mischief), the masks allow the wearer to change into an animal according to Mexican legend. While masks are an important element of the Primitivo exhibition, the paintings also revel in being a celebration of his hometown of Mexico City, something he talks about in this Global Street Art film. 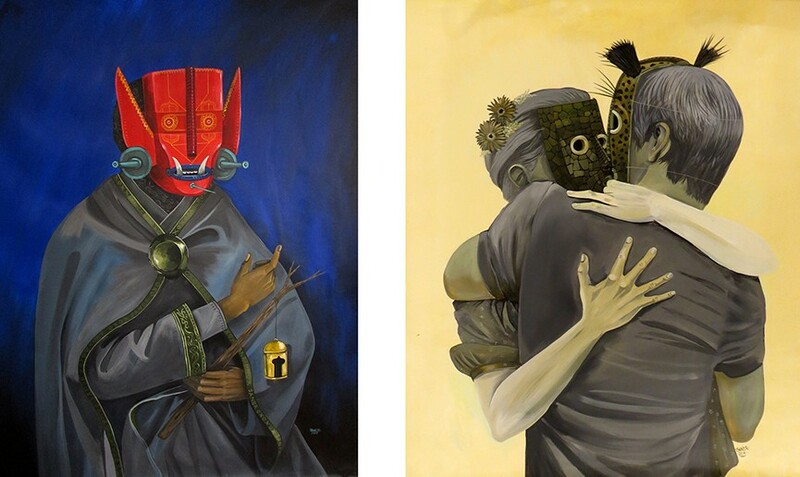 The studio works of Saner are not only rich in their Mexican heritage, containing artefacts used for rituals and the colourful patterns associated with fabrics, they show a painterly side that brings the characters, created on canvas, paper and wood, to life. 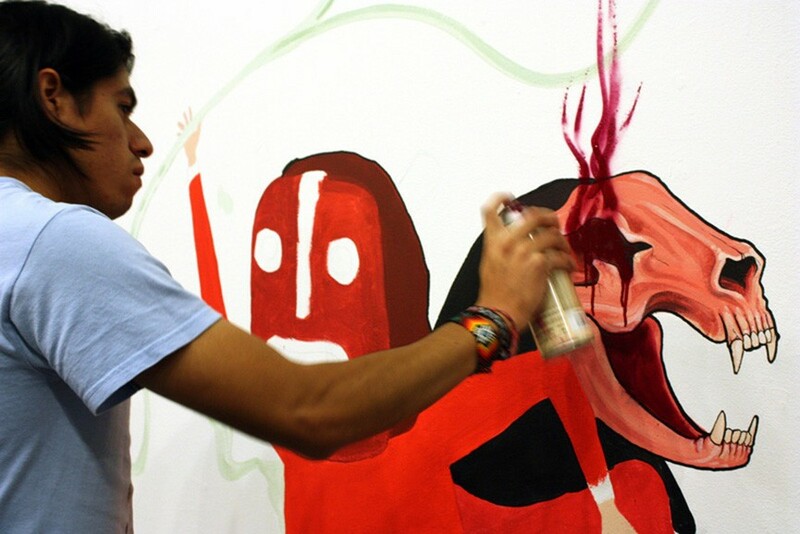 The painterly skills of Saner are exhibited in this Social Art short film. The Primitivo exhibition sees Saner question our rapid move into over development and the way we have lost touch with nature and why we consider that as being so much better than the lives lead by our distant ancestors. 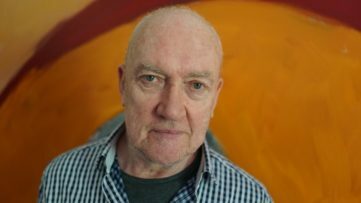 When compared to the increasing amount of poverty and wars, the basic life of our ancestors appears slightly more appealing as Saner wonders if we are living in such a developed world. 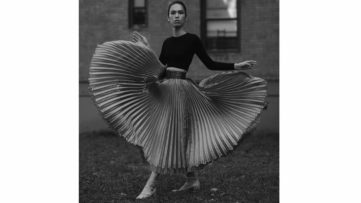 The artist also questions the political system in Mexico, particularly the recent disappearance and mass execution of students from Ayotzinapa. With what he terms primitive vision, Saner follows a long tradition of social and political art from the streets of Mexico as can be seen in this Real Democracy Now article. With the paintings in Primitivo, Saner wishes us to rediscover our respect for our environments and nature. 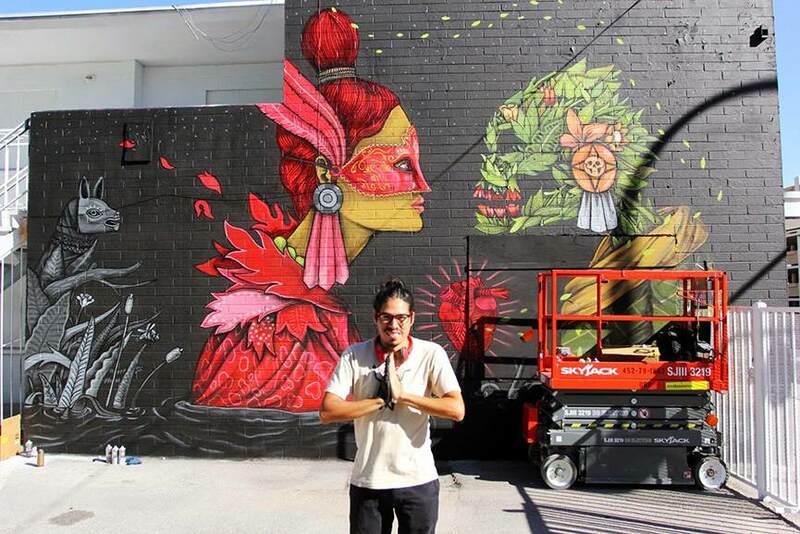 The studio work of Saner along with his colourful mural work, sometimes in conjunction with fellow Mexican artist Sego, who can be seen discussing the power of public art in this video, is steeped in the history of Mexico which can also be seen in many other areas of the art world, not just with those born in Mexico such as designer Ricardo Seco, who created sneakers in traditional Mexican textile patterns and the artist Curiot whose work also alludes to Mexican traditions, but also further afield such as the Hamburg based mittenimwald, who produced the exhibition Mundo de los Muertos inspired from the imagery of the Mexican day of the dead and London based contemporary artist Carrie Reichardt who was inspired by Mexican mosaics to create her Mad in Mexico exhibition. 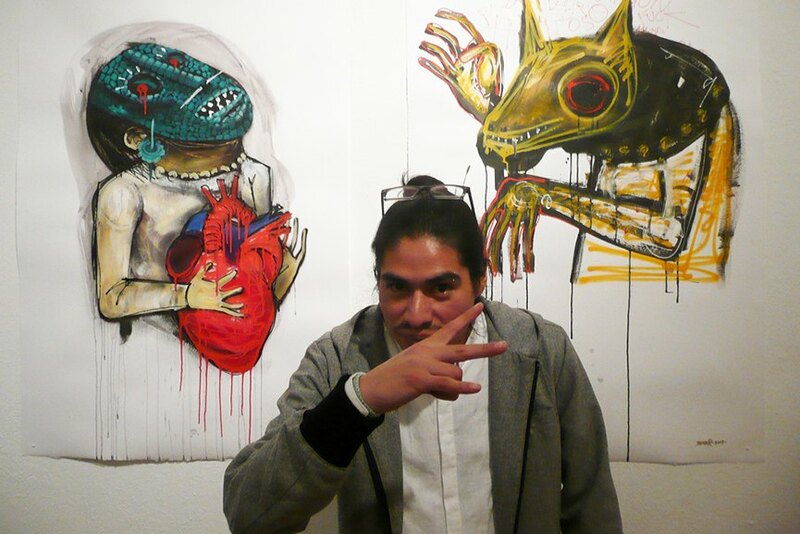 The Primitivo solo exhibition by Saner will open at the Jonathan LeVine Gallery, New York on January 10th, 2015 and run through until February 7th, 2015. 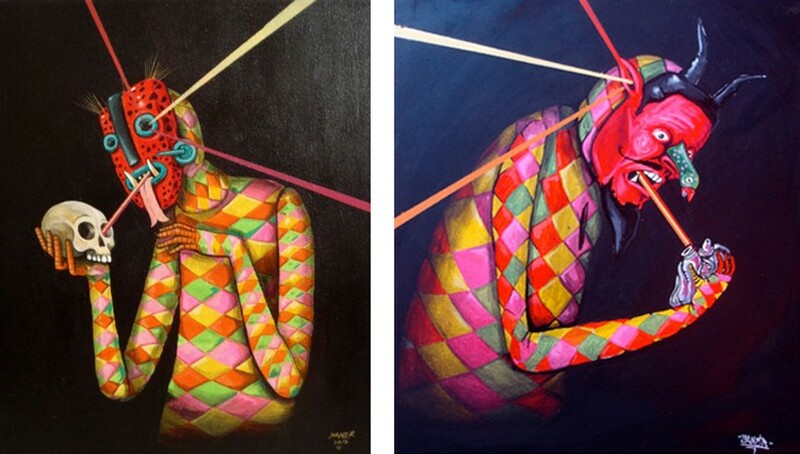 For more news on Mexican art and artists sign up to My Widewalls today.